Tomorrow, Monday 8th of June, Apple’s World Wide Developer Conference will begin with Phil Schiller’s keynote. The keynote will start 8:00pm Saudi Arabia time (5:00pm GMT). The Mac Observer will have a twitter account as well as a dynamic web page. The Apple Blog live coverage. Shufflegazine in UAE will have a gathering. Very nice overview of websites where we can find live coverage at! Thanks! Hey that’s awesome! We’re having one here in Dubai at the Shufflegazine offices for Apple fans. 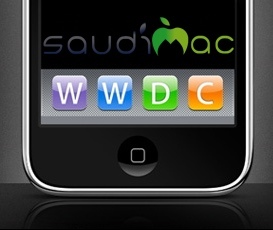 Maybe you’ll join us at our live chatroom (http://shuffle.to/wwdcchat) so we can interact with the folks at the SaudiMac LAN party?